With the Guinness Book of Records determined that the furthest line of 69.14 meters of paper aircraft how to fold?The holders of this world record, Joh Von M. Colli? ns and Jo? e Ayoob? uploaded a video on Youtu Vbe showing them the recorded paper airplane. After watching it, they can also follow this method. ▼On the left is J. Hohn M. Colli? ns, who is in charge of the aircraft, and on the right, Joe Ayoob, who is in charge of the aircraft.▼In the video, John restores the fold of the paper airplane that was recorded when the paper airplane almost flew over the warehouse site of the Guinness Book of Records. ▼1. 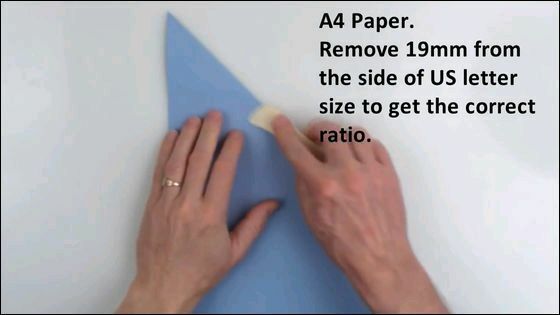 Prepare a piece of A4 size paper.▼2. First fold from a corner. 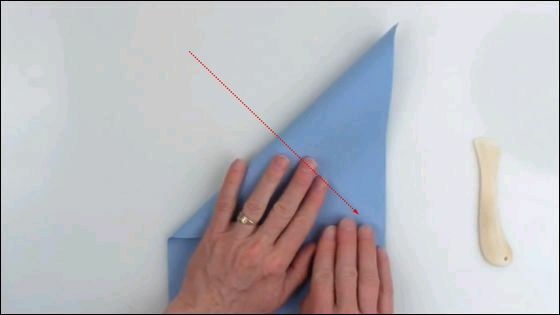 ▼A few props with pressed paper will be better than a good press fold. ▼3. 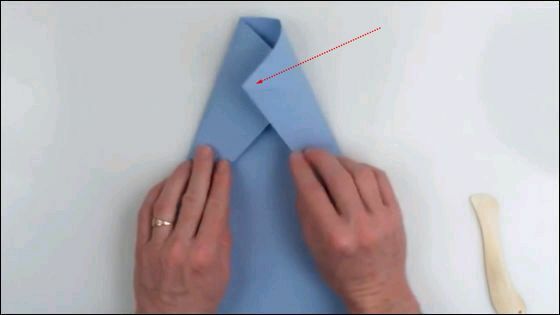 When unfolded, the reverse is folded in half from the other corner and then unfolded.▼4. Fold the long edge of the top right corner toward the line of the top pair and down toward the line of the top pair.▼5. Tips: Make sure you don't end up in full alignment, leaving a bit of a gap for the back.▼6. Then expand and repeat the same action in the upper left corner. ▼7. Then retrace the top right corner as well.▼8. Then line the interlaced bottom points on both sides and fold the top down.▼9. Note that this line must be aligned.▼10.Then repeat the above steps and fold both the top right and bottom left corners in half.▼11.This is the nose of the flying machine.▼12.Watch out for tail alignment!▼13.Cheats 2: machine head part to repeatedly flat pressure thin.▼14.The wing fold is not fully aligned, slightly staggered, and the reverse wing also operates in the same way.▼15.Note that the head of the plane is divided into two wings to leave a gap must be as equal as possible.▼16.When it unfolds, this must be a well-aligned look. The tail will remain merged while flying. It will be streamlined to reduce air resistance.▼17.The angle at which the wings are spread gives the aircraft this arc.▼18.A slight adjustment to the angle of the lower spread makes the tail shape a very perfect arc!